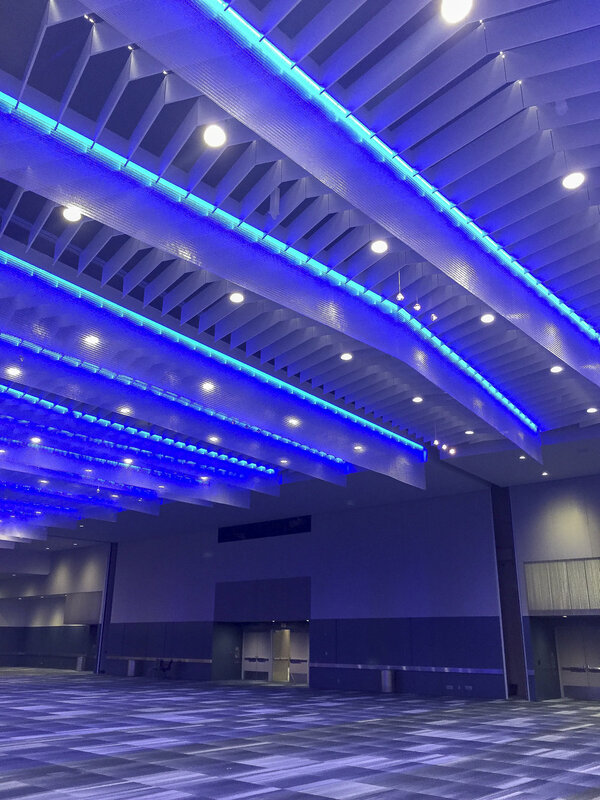 New Page — Tec Studio Inc.
Tec Studio is providing lighting design services alongside HLB Lighting Design out of Los Angeles for the interior renovation and expansion of the Greater Columbus Convention Center. The iconic building, designed by Peter Eisenman in the early 90’s will be receiving an expansion of the Exhibit Hall spaces on the North side as well as a full-scale lighting overhaul. Tec Studio is taking the lead on the lighting controls portion of the project which includes renovation of the lighting systems in the Main Concourse, Ballrooms, Meeting Rooms and Exhibit Hall. Exterior Lighting Design includes Main Entrance, High Street Façade, and Arnold Plaza of the iconic Eisenman design. 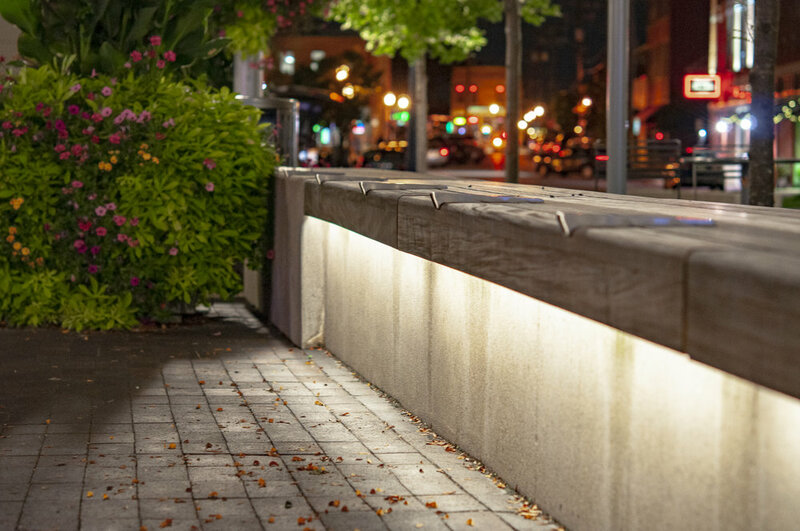 The lighting design will bring a fresh look to the unique exterior to highlight the architectural features, as well as provide way-finding and branding opportunities for the Owner. Lighting Design includes the renovation for the South Garage, as well as the Vine Street Garage. Existing metal halide luminaires were replaced with energy efficient LED to improve maintenance and reduce energy consumption. The new LED luminaires provide increased illumination values and increased uniformity. The energy savings allowed the Owner to successfully apply for a utility rebate ensuring a shorter duration for the return on investment.